I’ve published a zillion “Best” lists that are reading-related. I’ve also published quite a few posts on reading fluency, though I’ve never gathered them together. So, first, I’ll share some of the most useful lists about reading. Then, I’ll share links to my fluency-related posts. Reading Recs is a new feature of the extraordinary site, SAS Curriculum Pathways. It’s a new tool that allows students to orally read and record passages that teachers can listen to at a later time. Fluency Instruction: Building Bridges from Decoding to Comprehension is another useful post from Russ on Reading. Using CBMs for Quick Assessment of Progress in English Language Development is a useful article by Rita Platt and John Wolfe about fluency assessments for ELLs. ELLs and Reading Fluency in English is from Colorin Colorado. From 8 to 80 in Two Years: How Fluency Drives Students Toward Comprehension is from Teach Learn Grow. Fast Talkers: Are Kids Getting the Right Message About Good Reading? is from Teach Learn Grow. 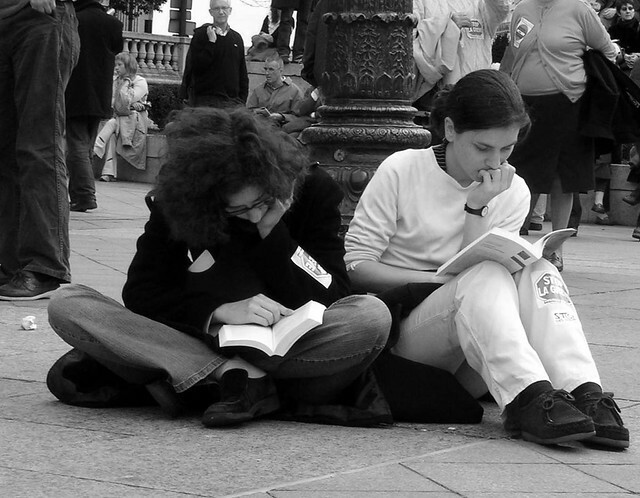 When Readers Struggle: Fluency is from Russ On Reading. Think Fluency is a new app to help assess student reading fluency. I learned about it from David Kapuler. Making Decisions about Which Intervention is Best: A Case Study is by Timothy Shanahan. Reading Fluently Does Not Mean Reading Fast is from The International Literacy Association. 8 variations on repeated reading for fluency help keep students engaged is from Education Research.